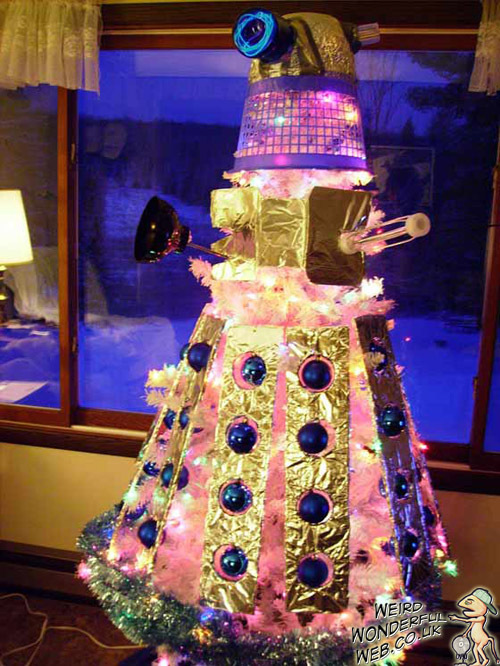 Weird Wonderful Web: Beautiful Dalek Xmas tree! This has to be one of my absolute favourite creative Christmas trees. You don't even have to be a Dr Who fan to appreciate how well this is done. Yet funnily enough, if you look at it closely, you can see how simply they achieved this amazing Dalek look.